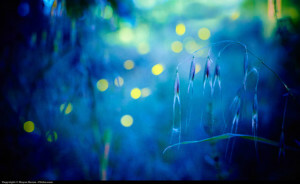 This morning on CBS Sunday Morning, they featured a story about fireflies. There is a state park in a heavily wooded area down south where many people of all ages go at night during a short period of summer each year to watch a magnificent show. In a splendid mating ritual, the male fireflies (beetles, actually) light up all at once in a competitive display to attract their mates. The females answer with a glow of their own. Unfortunately, the mature fireflies don’t last too long – only a few weeks – before they die. We humans live a lot longer on average and we, too, have our mating rituals. And ours are about much more than procreation. We have emotions and free will. In fact, I believe that we are here to love one another; to really care about, care for and give love, respect, empathy, compassion, gentleness, kindness and affection to each other; to share a good laugh and, occasionally, a tear or two with each other. The key word is “with.” Curious word, “with.” It means, “together, related, sharing.” When we are “with” another, at its best, it’s about giving! Yes, giving!! Last night, Ellie and I went to the New York City jazz venue Dizzy’s Club Coca Cola to hear a performance by Richard Galliano’s quintet. He is a world-class jazz accordion player. Beyond his incomparable technique, like all of the finest musicians he pours love into every note he plays. When the love is missing, so is a crucial part of the music. There is another reason we drove to New York last night in spite of foul weather and it also brings us back to the fireflies’ love display, as well. Our friend, Brazilian drummer Mauricio Zottarelli, was one of the musicians in the band. Like the other three members of the quintet who Richard Galliano chose for his performance at Dizzy’s, Mauricio is an extraordinary musician! Before the performance, he joined us at our table. However the subject of our conversation was not, as you might expect, music. It was love! Mauricio and his wife Milene had their first baby; a boy, two months ago. So what I was most interested in hearing about was what it has been like for him to be a new papa. Mauricio described several different kinds of moments he has experienced, from the awe-inspiring moment of delivery to others where he has been really tired and not feeling great. What made these moments so different for him was he was holding his son in his arms. He said that at such times he has seen his son pick up on the less positive energy coming from him and he recognized the negative impact on his precious baby. In those moments his sensitive heart has immediately opened wide and he’s put out more loving energy, because he knows the truth about unconditional love: it’s about giving!! Yes, Mauricio has a big, generous, loving heart! He will be a really good father and the world can use all of them we can get!!!!! Life is fleeting. Even though our life span is many decades, not a few weeks like the firefly, it still seems to zoom by. Given this reality, here’s an important truth that we’re better off understanding as early in our lives – and the lives of our children — as possible: When you have someone to love, love them unconditionally — before the glow is gone! This entry was posted in Attractiveness, Body Language, Change, Children, Choices, Communication, Consiousness, Couples Counseling, Emotional Courage, Emotional Intimacy, Emotions, Empathy, Eye Contact, Family Relationships, Forgiveness, Generosity, Gratitude, Happiness, Humility, LevineCounseling.com, Listening, Love, Loving Compassion, Loving Relationships, Marital Counseling, Marriage, Marriage Counseling, Mature Love, Maturity, Mental Health, Non-reactive, Parenting, Personal Change, Personal Dignity, Personal Freedom, Personal Growth, Personal Power, Personality, Relationships, Responsibility, Self Image, Trust, Uncategorized, Unconditional Love. Bookmark the permalink.